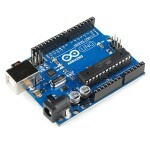 Description: Arduino Industrial 101 is an Evaluation board for Arduino 101 LGA module. The ATmega32u4 microcontroller is integrated in the baseboard. 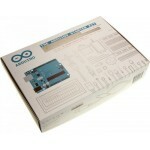 The module supports a Linux distribution based on OpenWRT named LininoOS. 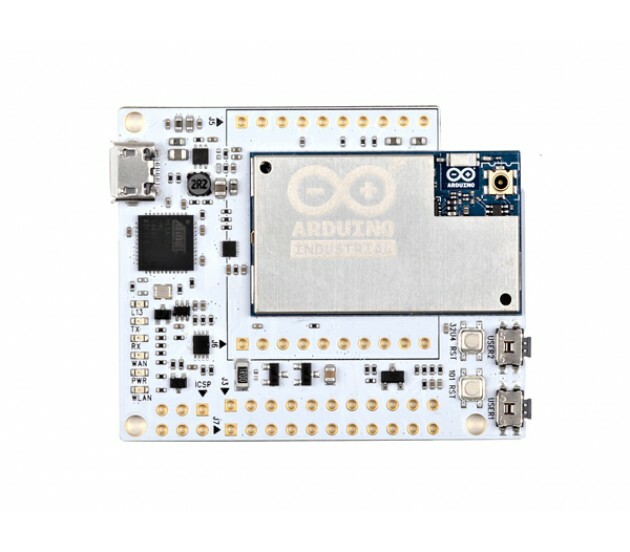 The board has built-in WiFi (IEEE 802.11b/g/n operations up to 150Mbps 1x1 2.4 GHz), 3 GPIOs (of which 2 can be used as PWM Outputs), 4 Analog Inputs, 1 USB, 1 Ethernet signal on pin headers and a built-in DC/DC converter. Check out the assembling guide and simply connect your board to a computer with a micro USB cable to get started. NB: In some countries, it is prohibited to sell WiFi enabled devices without government approval. While waiting for proper certification, some local distributors are disabling WiFi functionality. Check with your dealer before purchasing a Industrial 101 if you believe you may live in such a country.